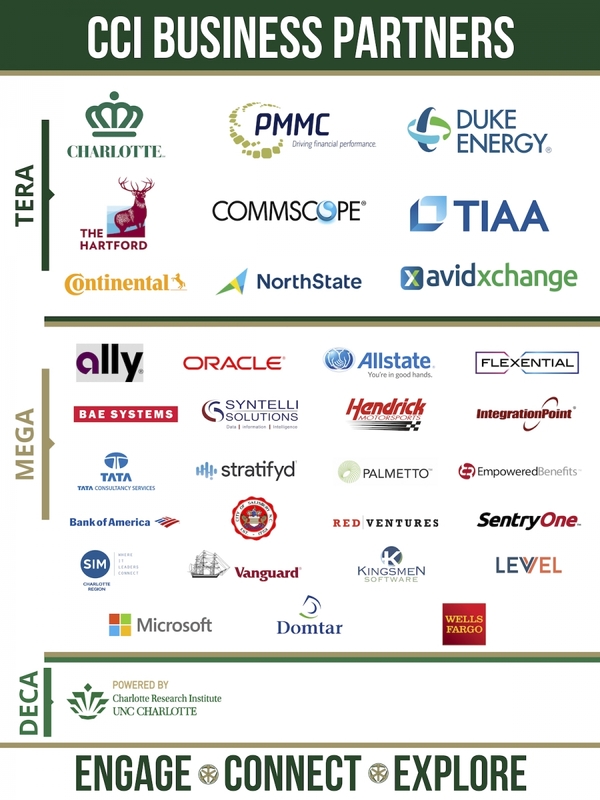 The CCI Business Partners fosters collaborative relationships between the College of Computing and Informatics at UNC Charlotte and select businesses. The relationships and support provided by CCI Business Partner members contribute greatly to CCI's continued growth in relevant and emerging technologies, while providing the most effective quality education for our students. In return, industry leaders get access to a flexible portfolio of benefits for engaging with our students and faculty.